Create a custom look in just a few minutes. 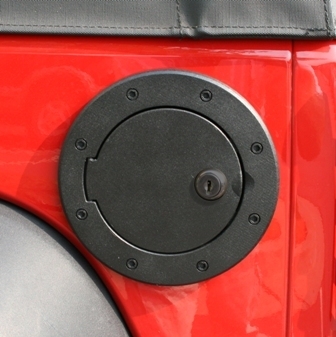 This special design fits directly over the existing gas cap opening. It attaches directly to the original equipment plastic insert using self tapping screws with no need to remove the existing plastic insert. Unlike other designs on the market, installation does not require the removal of the tail light or internal gas cover components. Available with or without locking mechanism. Multiple finishes and colors to choose from; cast aluminum in polished and black, polished stainless steel and black painted stainless steel. Some drilling required.